The use of cloud technology is rapidly increasing but businesses across the UK are failing to progress their cloud projects because of a lack of skilled Azure professionals. “Today 80% of our customers have already deployed or fully embraced the cloud – by 2020 the idea that a company has ‘no cloud’ would be as rare as a ‘no internet’ policy is today” says Gavriella Schuster, Corporate VP of Microsoft’s Worldwide Partner Group. But despite the rapid uptake of cloud technology, the industry is experiencing a massive skills shortage. Azure skills were the hardest to source, according to a 2016 study of Microsoft Partners from Curotalent. Microsoft is committed to closing the skills gap with their pledge to create 30,000 new digital apprenticeship roles by 2020. As part of this, and in time for the imminent arrival of the Apprenticeship Levy, Firebrand have launched four new accelerated Azure apprenticeships. “We’ve developed these accelerated Azure apprenticeships to reflect the knowledge and skills demanded by UK businesses. “We’re excited to see these apprenticeships shape and develop Azure skills for the next generation of IT professionals" says Stefano Capaldo, Firebrand’s Managing Director. Built by Firebrand -- in partnership with Microsoft – these new Azure apprenticeships are the first of their kind to align to existing National Apprenticeship standards. Each apprenticeship also includes £10,000s of accelerated Microsoft Azure training and certification. Four new Azure programmes, built around in-demand job roles and designed by industry trailblazers, are now available to employers and apprentices. Azure Infrastructure Technicians learn to support internal and external customers by resolving virtual and on-premise queries. Apprentices will also study virtual machine (VM) administration. Apprentices on this programme will develop into your next helpdesk technician, infrastructure technician or Azure network support professional. Azure Software Developers learn to design, build and test Azure solutions and applications. These apprentices will also learn how to build and host application infrastructure in Azure. This programme will teach apprentices how to become an Azure mobile/application/systems/web developer. Azure Cyber Security Technologists will use their specialist cloud knowledge to identify cyber threats and risks to organisations and people. Azure Cyber Security Technologists will also specialise in cloud platform and infrastructure security. Typical job roles for apprentices on this programme include: cloud security architect, cyber operations manager, penetration tester and security engineer. Azure Network Engineers focus on virtual networks whilst learning how to design, install and support communications within an organisation. Azure Network Engineers will become experts in network configuration and administration. 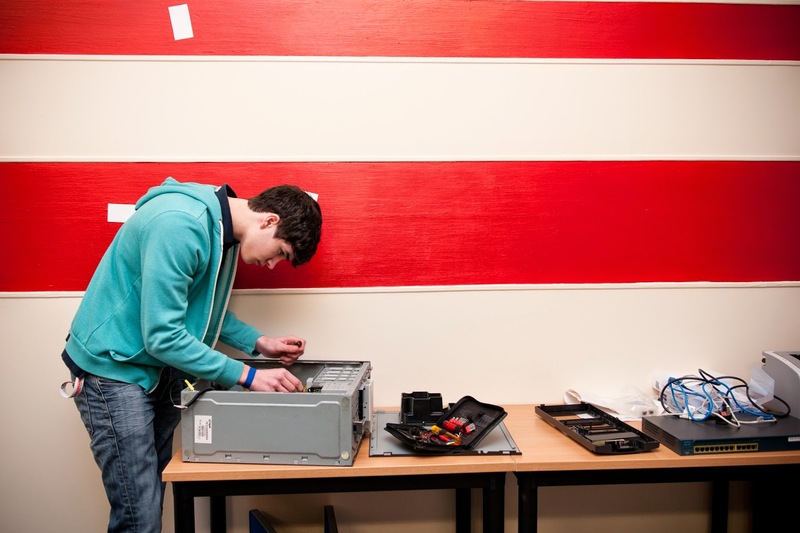 Apprentices on this programme will develop into network technicians, network administrators and systems engineers. Are you planning for the Apprenticeship Levy yet? With the introduction of the Apprenticeship Levy in April 2017, all businesses in the UK are now hugely incentivised to hire apprentices. Use your Levy on Azure apprenticeships, close your cloud skills gap, and move ahead with your Azure projects. Find out how you can hire and train Azure apprentices at little-to-no-cost right now.